When you are ready to apply for admissions at Riga Business School, you are kindly requested to pass TOEFL test. For potential Bachelor program students - free of charge. English testing is not necessary if your undergraduate or graduate studies were done in an English speaking country or from SSE, or if English is your native language. Test samples are available in the RBS library as well. 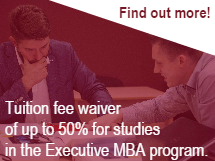 To help you better prepare for the Test, Riga Business School offers a preparation course.